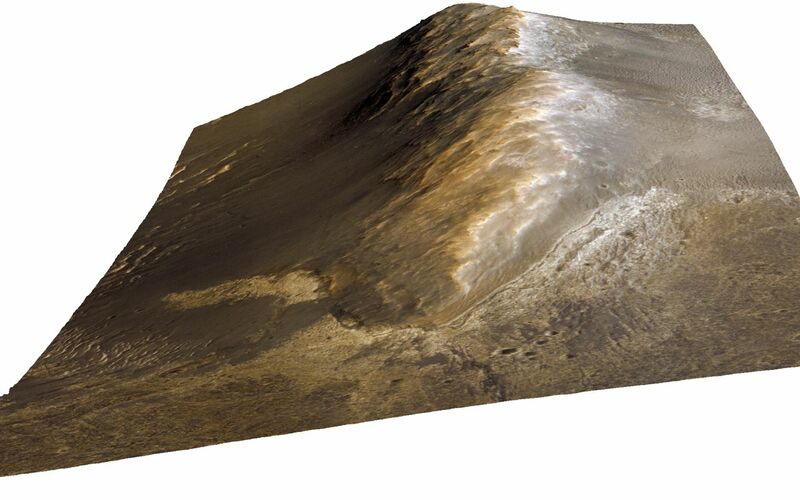 Perspective view of Murray Ridge, a rim segment of the 14 mile (22 kilometer) wide ancient Endeavour Crater. 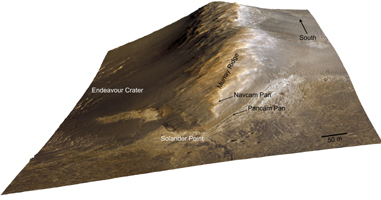 The locations where the Mars Exploration Rover "Opportunity" acquired Pancam and Navcam image mosaics of the ridge are shown. The view is shown with a three times vertical scale exaggeration. 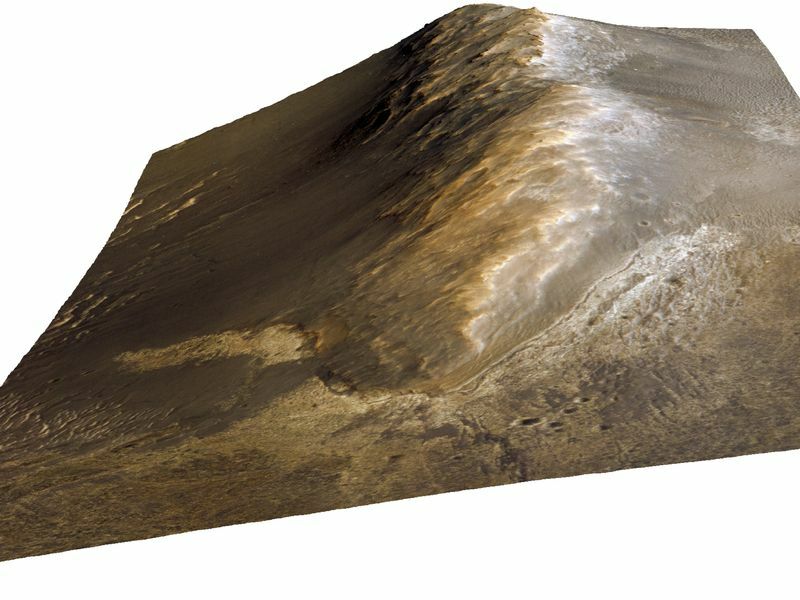 For the area shown on this view the ridge at its highest point rises approximately 66 feet (20 meters) relative to the plains to the west. 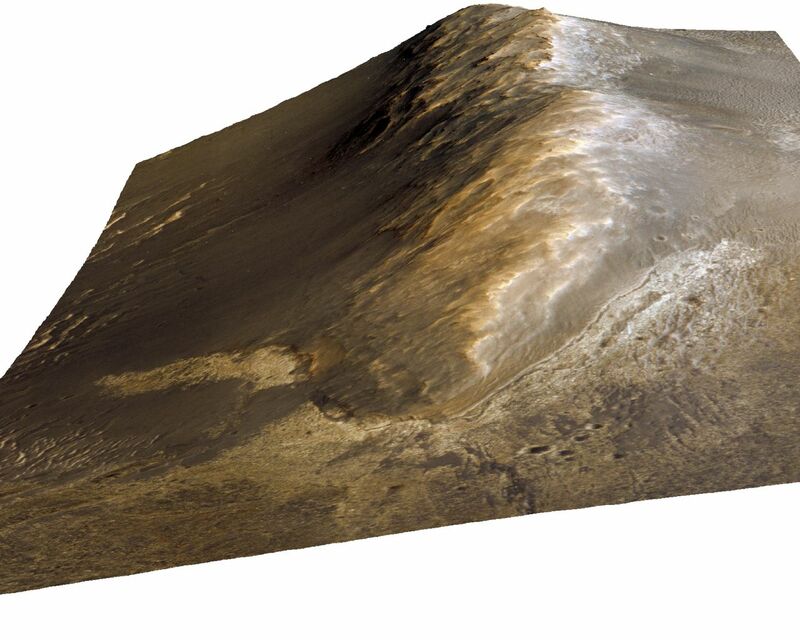 This view of Murray Ridge was generated from HiRISE ESP_032573_1775_color.jp2 image data and a digital topographic map generated from stereo HiRISE coverage. Blue-green, red, and near-infrared wavelength data were assigned to blue, green, and red colors in this false color view.